Topics: Expressing God's Heart, Church, Services, Beliefs, Vision, and Pastor Willis & Angela Mcdowell. It is hosted by Supanames Hosting (England, Leeds,) using Apache/2 web server. Its 2 nameservers are ns.123-reg.co.uk, and ns2.123-reg.co.uk. 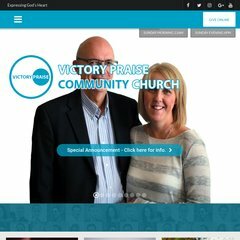 Vpc.org.uk's IP address is 212.67.210.50. PING www. (212.67.210.50) 56(84) bytes of data.